As part of the research project “Research on Materials for the Study of East Asian Art,” the Department of Research Programming has been studying the relationship between man and objects under the theme of “Dynamics of Interaction between Objects and People.” The aim of the study is to see how the connection among people plays a role in the value formation of objects such as works of art and cultural properties. On Tuesday, January 15, we invited Dr. Chen Fang-mei of the Graduate Institute of Art History of the National Taiwan University, who contributed to our Department’s periodical, Bijutsu Kenkyu (The Journal of Art Studies) volume 391, a paper on how ancient bronzes were appreciated in Sung dynasty China. In her presentation entitled “The Issue of the Sacred Space Constructed at: Yinshan Temple at Danshuei and Ethnological Awareness: A Study of Art in the Social Context,” Dr. Chen spoke about how the thoughts of the Han people who immigrated to Taiwan from the end of the 18th to the beginning of the 19th centuries, especially that of the Hakka people from Tingzhou in western Fujian province, were given form. 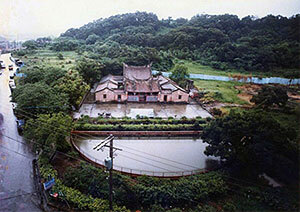 Although a minority group, these people erected Yinshan Temple at Danshuei in northern Taiwan. Dr. Chen confirmed that the arrangement and decorations of the temple complex are reminiscent of what existed in their place of origin, Tingzhou. 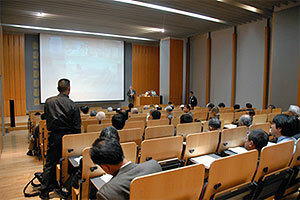 The subject of the presentation was concerned with the history of pre-modern Taiwan, with which we are not so familiar, but the assertion of identity associated with migrating people was in line with the theme of our study and discussions on the question of self-expression of minority groups followed the presentation. 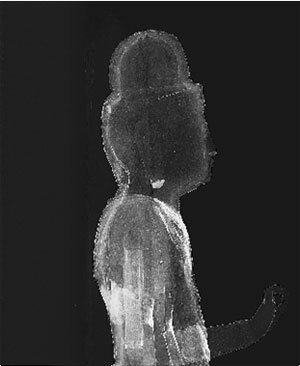 As part of the research project of the Department of Research Programming, “Trans-Disciplinary Study of Art Materials and Techniques,” X-ray radiography was taken of a hollow dry lacquer Standing Figure of a Bodhisattva (height 77.1 cm; private collection in Tokyo) at the Institute on January 29 (Tuesday). As mentioned in the Monthly Report for September, this figure is believed to have been created at the beginning of the 9th century according to its style. Since the investigation carried out in June was limited to visual inspection of the surface, we were not able to clarify the structure or the method of manufacture employed for the figure. Thus X-ray radiography was executed this time to examine whether there is any structural member inside the statue that would be used to support it, how many layers of hemp cloth were used, and how much later additions and restorations had been made. As a result of this examination it was confirmed that there is no structural member inside to support the figure, that restoration had been limited to the surface and that there was not much damage extending to the inside of the figure. Furthermore, it was found that the clay had been removed by separating the figure into the front and back halves by cutting on a line that passes through the ears, while the normal method for making a hollow dry lacquer statue was to apply layers of hemp cloth to a clay mold and to remove the mold from rectangular windows cut at the back of the head and on the back of the torso so as to create the hollow space. It was also found that on this figure the arms had been made separately and attached at the shoulders after the front and back halves had been rejoined. Such method suggests that there was a new development in structure and technique of hollow dry lacquer toward the end of the manufacture of hollow dry lacquer statues. Further technical clarification in this aspect is expected. The Training Course for Safeguarding Intangible Cultural Heritage, organized by the Agency for Cultural Affairs and the Asia/Pacific Cultural Centre for UNESCO (ACCU), was held from January 21 to 26. 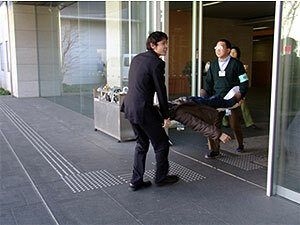 Administrative officials engaged in the safeguarding of intangible cultural heritage were invited from various Asian nations The National Research Institute for Cultural Properties, Tokyo took part in the project as a co-organizer from the time of its planning. Furthermore, Miyata of the Department of Intangible Cultural Heritage participated as a lecturer during the Course and gave two lectures: “Mechanism for Safeguarding and Inventory-Making of ICH in Japan” and “Introduction to ICH Activities by National Research Institute for Cultural Properties, Tokyo.”: There were many questions from the participants on not only the system of safeguarding intangible cultural heritage in Japan but also on the activities of the Institute, showing the increasing interest in these themes. 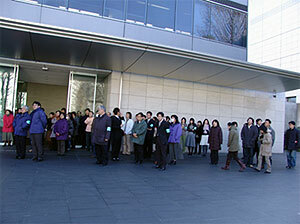 An IPM workshop was held jointly with the city of Kawasaki on January 31, 2008 at the Seminar Room of the Kawasaki City Museum Two lectures were given: on the fundamental concept of IPM and the methods for executing IPM Participants exchanged opinions on how difficult it is to prevent bees from invading outdoor museum complexes. They were also introduced to insects at various stages of life and handled materials and tools for preventing invasion of insects into museum buildings. The Modern Cultural Properties Section of the Center for Conservation Science and Restoration Techniques held a conference on January 25 in the Seminar Hall of the Institute. 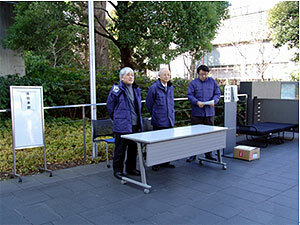 Three lecturers were invited for the occasion: Dave Morris of the Fleet Air Arm Museum in England, Nagashima Hiroyuki of the Japan Aeronautic Association and Hirayama Sukenari of the Hirayama Ikuo Museum of Art. Dave Morris presented us with a detailed explanation of the restoration of a Corsair aircraft that he undertook. His presentation introduced us to matters, including minute details that only someone who has actually worked on the restoration of the aircraft could provide. Nagashima spoke about the conservation of aircrafts, taking as an example the conservation of a Nakajima Type 91 Fighter exhibited at the Tokorozawa Aviation Museum. Hirayama used photographs and video image taken during restoration to speak about treatments provided in the restoration of Aichi Type Zero Reconnaissance Seaplane that was salvaged from the ocean at what is now Minamisatsuma city, Kagoshima prefecture, a restoration that was undertaken when he was working as a member of the restoration group at the Kanoya Air Base of Japan Maritime Self Defense Force.. As all three of the lecturers spoke from their own experience, their presentations were very convincing. 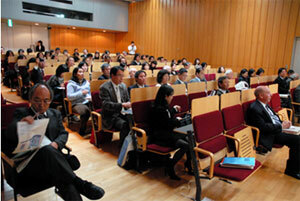 There were many questions from the audience and the conference ended well past its schedule. As a part of a series of research projects undertaken by the Japan Center for International Cooperation in Conservation, a number of important Buddhist sites with murals (i.e. Mogao Grottoes of Dunhuang and Ajanta Caves of India) were surveyed from conservation and technical points of view. 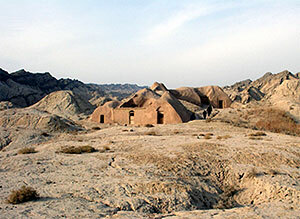 Xinjiang region is the east end of Central Asia and plays an important role in ancient trades between the East and West. At the Buddhist grottoes with earthen mural paintings at Bezeklik in Turfan, Kizil, Simsim, Kumtura and Kizil-Qargha in Kucha, field surveys were carried out on painting materials and techniques as well as the state of conservation in a cooperative project with NHK Enterprise Co. between 5 and 12 January, 2008. This mission was composed of 4 members from the Institute, 1 from the Conservation Institute of Dunhuang Academy and 1 from the Cultural Heritage Bureau of Xinjiang Uygur Autonomous Region. These Buddhist cave sites are primarily made of unstable soft conglomerate or sand/silt stones, and murals are constructed on earthen plasters with various colourants using a secco techniques. 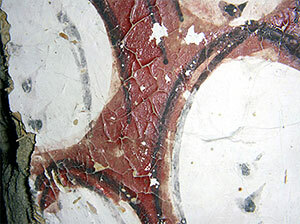 Some organic red colourants, most of which had not remained due to their chemical instabilities, were fortunately observed in some murals. Further scientific diagnoses will provide invaluable information regarding the painting techniques in the context of ancient artisans along the Silk Roads. 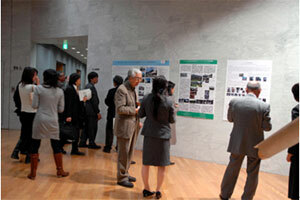 “International Cooperation in Living Heritage,” a workshop organized by the Japan Consortium for International Cooperation in Cultural Heritage (President: Hirayama Ikuo), the secretariat of which has been entrusted to the Japan Center for International Cooperation in Conservation, was held on January 9..In this workshop various topics related with international cooperation in conservation are discussed. The workshop in January, which is the second in a series of such workshops, focused on the living heritage, in other words on “heritage that is kept alive and utilized.” Over 100 experts from various disciplines participated. In the keynote lecture, Dr. Richard Engelhardt, Regional Advisor for Culture in Asia and the Pacific at UNESCO Bangkok, spoke on the background that led to the concept of living heritage, the importance of international cooperation in conservation that includes the local people, and the role that Japan is expected to play in conservation. 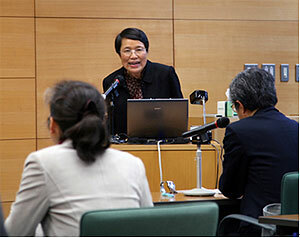 Case studies were also introduced, including academic research and practical restoration projects undertaken in Vietnam by Showa Women’s University and the study on living heritage in Southeast Asia by Dr. Miura Keiko of Waseda University. In the panel discussion, topics such as what kind of problems are faced at sites, what needs to be conserved in the context of changing systems of value and how Japan can cooperate in the conservation of living heritage were discussed actively among the panelists and the audience. 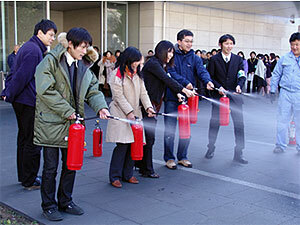 The Japan Consortium for International Cooperation in Cultural Heritage plans to hold workshops regularly in the future and to provide support in constructing a network of experts related with international cooperation in conservation.